Rice Krispies treats are a dessert staple, but sometimes you need a way to add zing to your treats and step out of the plain Krispies rut. The following are 10 ways to make your treats even tastier and more appealing to the eye. These ideas can be mixed and matched to create the best treats ever. The recipes are so simple that even the littlest chefs will still be able to help make them. So grab a box of Rice Krispies and some marshmallows and get ready to make some yummy treats. 1. Melt the butter in a large pan over low heat. 2. When the butter is melted, slowly stir in the marshmallows. Keep stirring until marshmallows are completely melted. Remove from heat. 4. Begin spooning the mixture into a baking pan coated with butter or cooking spray (wax paper can be used as well) while it is still warm. Press the mixture into the desired shape. If the mixture begins to stick to the spoon, recoat it with butter or cooking spray. 5. Allow it to cool and then enjoy! The butter and marshmallows can be cooked in the microwave as well. Cook for approximately 3 minutes, stirring occasionally. Then follow directions 3-5. Nutella is a spread made from hazelnuts and cocoa. It tastes chocolaty with a hint of nut. The texture and consistency is somewhat similar to peanut butter. 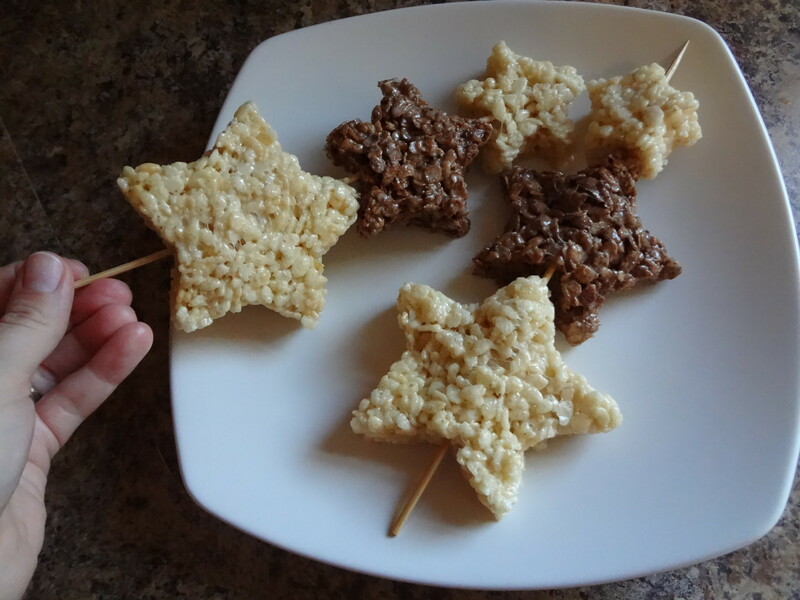 There are several different ways to make Nutella Rice Krispies Treats. You can make basic Rice Krispies Treats and then spread some Nutella over the top. You could also dip the Rice Krispies treats in Nutella. 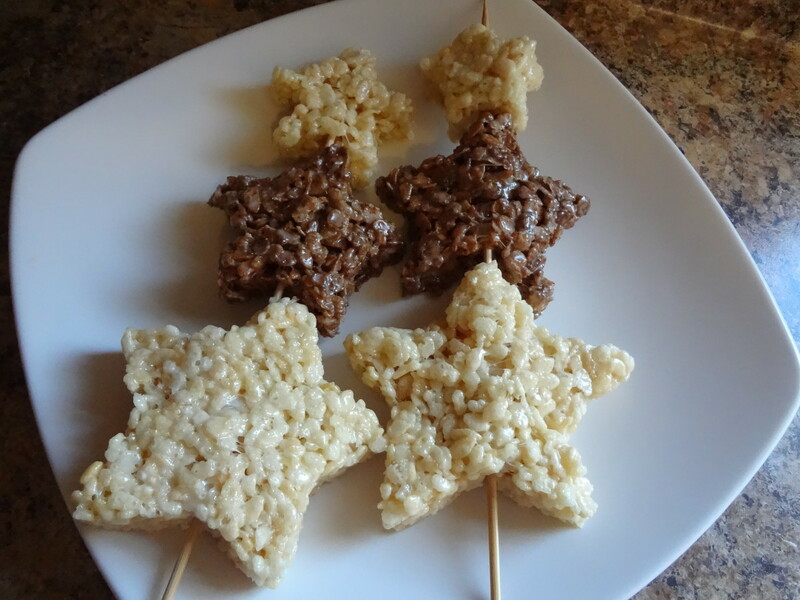 If you want the Nutella flavor throughout the treat, add 1/2 a cup of Nutella into the mixture when you are melting the marshmallows in step 2 of the basic Rice Krispies treats. Mix the Nutella in as the marshmallows are melting. Add fun to your treats by topping them with sprinkles. It works best if you add the sprinkles when the treats are still warm. You can also mix in sprinkles when you add the cereal to the marshmallows. Pick sprinkles to match a theme or season. Sprinkles come in an array of shapes, colors, and textures, so you can create a seasonal treat in a very simple way. Who is your favorite Rice Krispies mascot? Craving something chocolaty? 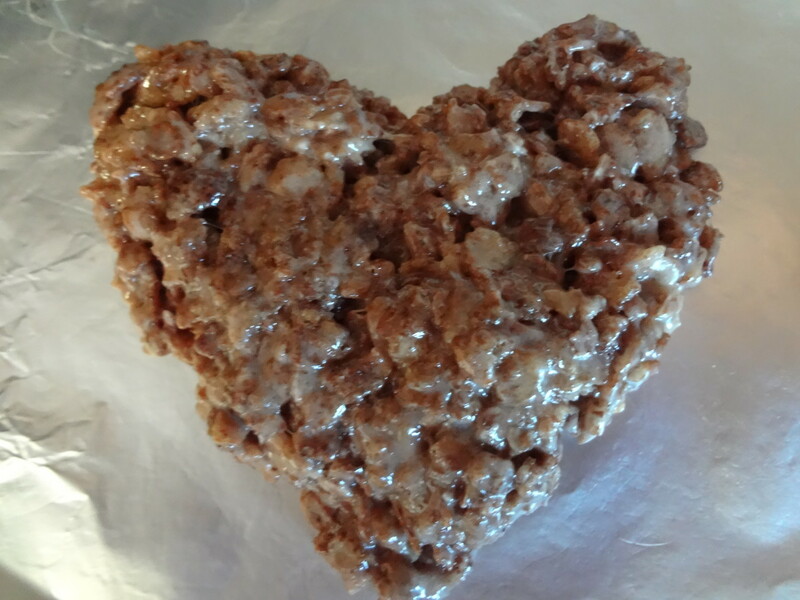 Substitute Cocoa Krispies for regular Rice Krispies. Follow the basic Rice Krispies treats recipe. For a chocolate overload use Cocoa Krispies and add chocolate chips. Pour chocolate syrup over the top and add chocolate sprinkles. 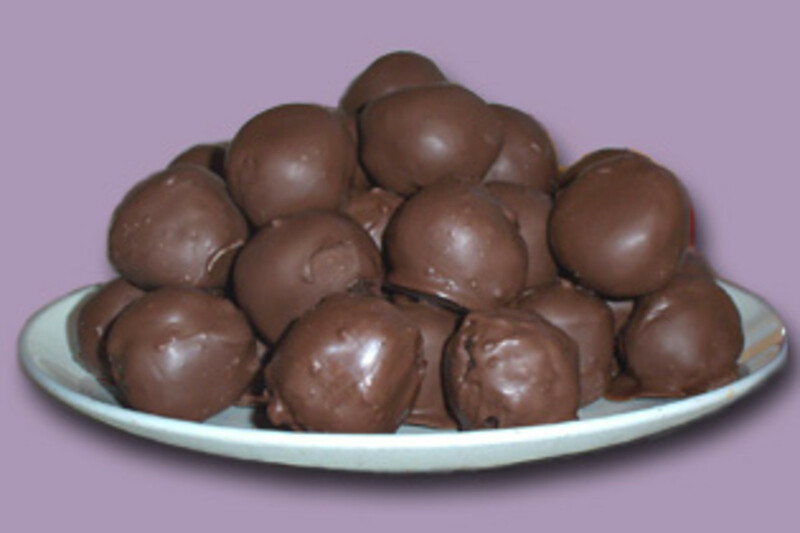 Before making the treats, place the chocolate chips in the freezer. The chips will need to be frozen or they will melt. Add the chocolate chips when you are mixing the cereal. If you are in the mood for something fruity, substitute Fruity Pebbles for the Rice Krispies. Follow the same basic recipe for normal treats only with the Pebbles instead of the Krispies. Or you can mix ½ Fruity Pebbles and ½ Rice Krispies for a taste that’s fruity without being as sweet. 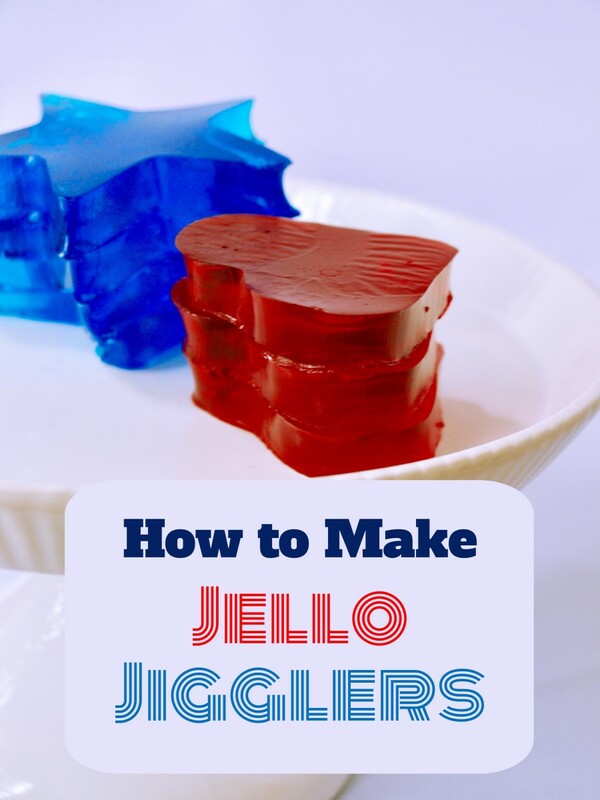 Add appeal to your treats by making them in fun shapes and colors. Create shaped treats by using cookie cutters shaped in whatever theme you want. First, follow the basic treats recipe. When the treats have cooled somewhat, you can use the cookie cutters coated with butter or cooking spray to cut out shapes. Decorate them for even more eye-catching fun. To make colorful treats, add in several drops of food coloring in as the marshmallows are melting. Be sure to mix it thoroughly so the color is even all through the treats. 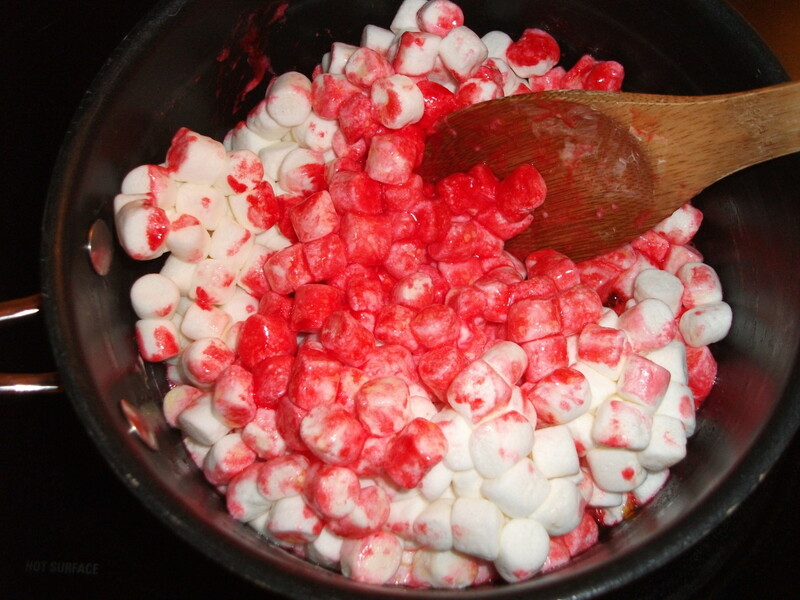 Add food coloring as you melt the marshmallows. Make the treat easy to hold by adding a Popsicle stick or a kabob stick. You can add slices of fruit as well as pieces of the treats to turn it into a dessert shish kabob. Insert the stick while the treats are slightly warm. Make sure the piece you are putting on the stick is at least a couple of inches big or it might be too flimsy to stay attached. Information about Kellogg's Rice Krispies cereal as well as Treats recipes, special holiday ideas, and more. Mix in pieces of candy to make the treats sweeter. You can buy crushed candy for baking or you can crush a candy bar yourself. Most candy will work well. Butterscotch, toffee, and caramel pieces also taste great. If you want it melted in with the treats, you can add it along with the cereal when you are making the treats. If you don’t want the candy melted, put it in the freezer an hour or two before making the treats. Candy can be sprinkled on the top of the treats as well. Let the treats cool slightly before sprinkling candy on the top. Make your treats peanut buttery for a more protein-packed treat. After the marshmallows are melted, add ½ a cup of peanut butter. Remove from heat and stir until it is well melted. Then add the cereal and follow the rest of the basic recipe. Spread jelly on top if desired for a sweet PB & J snack. For a chocolaty peanut butter taste, use Cocoa Krispies and add the peanut butter. How much do you know about Rice Krispies? Add fruit to the treats for a fresh taste. To make the cherry treats, you will need ½ a cup of drained, chopped sweet (maraschino) cherries. Follow the basic Treats recipe adding the cherries after the cereal. Coconuts and chopped peanuts compliment this treat also. They are added at the same time as the cherries. Other fruits such as raisins can be substituted as well. Dried fruits work best. Another way to prepare fruit treats is to line the pan with fruit and then add the basic treat mix on top. Which type of Rice Krispies treats are you going to try first? I'm going to sprinkle on the fun by adding sprinkles. I'm craving chocolate, so Cocoa Krispies for me. I'm going to overload the chocolate in my treats. Fruity Pebbles because I'm in the mood for something fruity. I'm going for eye appeal with fun shapes and colors. I'm going to stick my treats on a shish kabob. 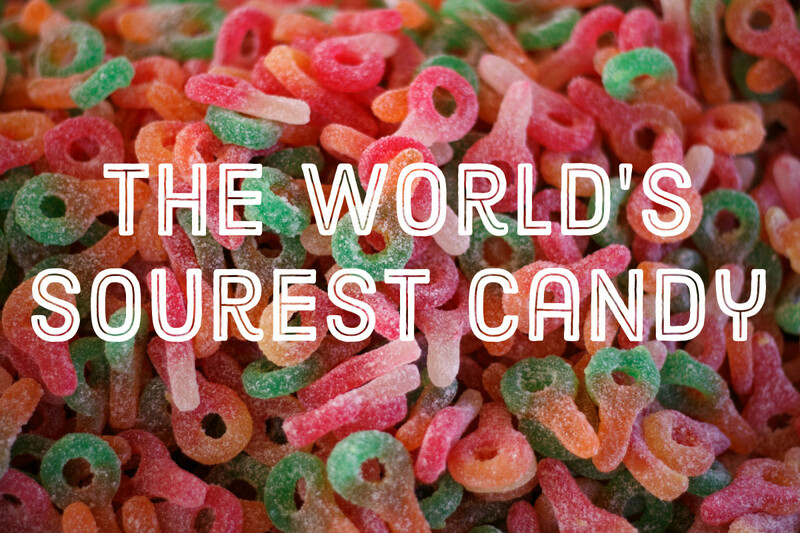 Candy pieces sound tempting in my treats. Who could resist peanut butter treats? Instead of a cherry on top, I'll mix cherries all in my treats. I'm not feeling adventurous, so I'm going to stick with regular treats this time. pstraubie48 - Thanks! Hope you enjoy the treats! TB - Mint chocolate Rice Krispies treats sound delicious. Great idea! How about adding mint chips to the Cocoa Pebbles? Those sound delicious! 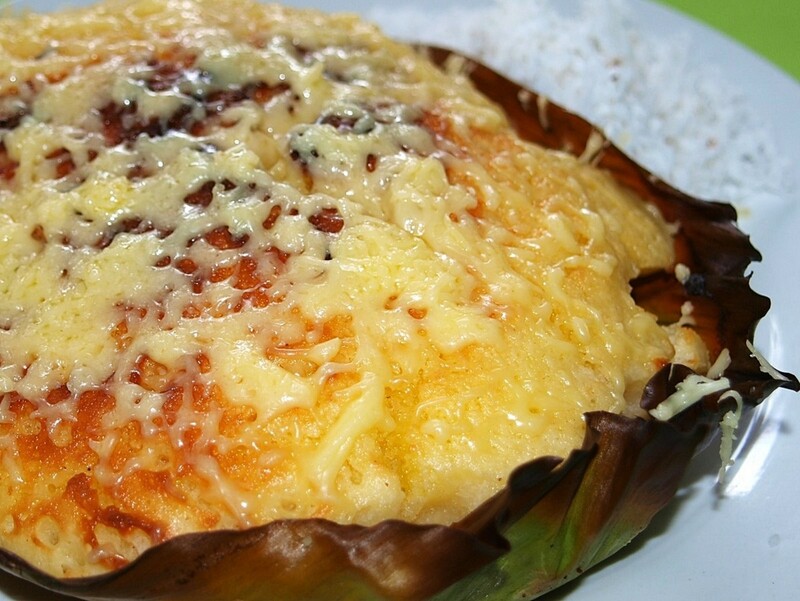 Toasted coconut especially. Great tips. I always add 1 tsp vanilla extract to my base for these. My favorite so far is nutella & toasted coconut flakes added in. It turns it into a candy bar for me. Marcy Goodfleisch - Rice Krispies treats always make me nostalgic also. Thanks! 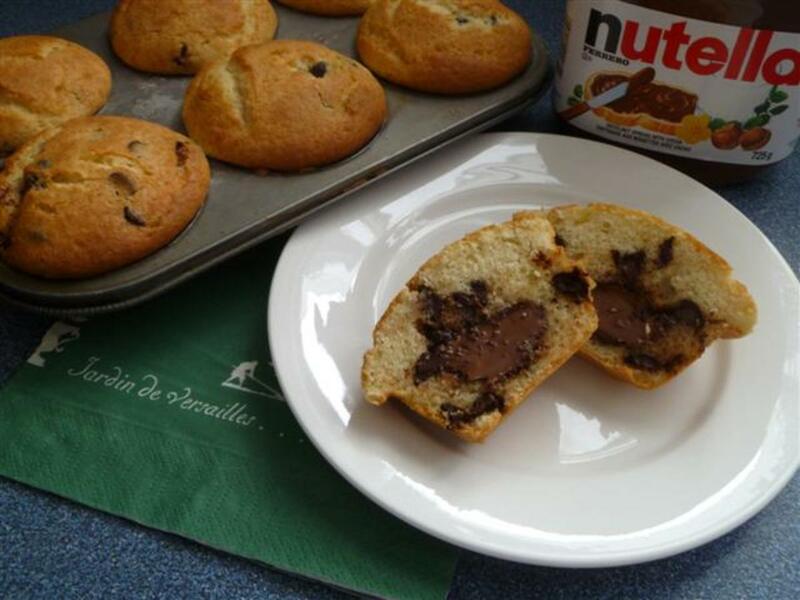 PenHitsTheFan - Anything with Nutella is usually delicious. Thank you! I love the ideas here - it's making me think of camping trips, holiday parties and sitting around munching with my friends! Sharing! luvintkandtj - Fruity Pebbles are one of my favorite cereals. They make good treats, too. Thanks! i have always preferred fruity pebbles crispies over rice crispies...its the onlyw ay i can enjoy fruity pebbles because they get soggy so quickly in milk. GDiBiase - Anything with Nutella turns out delicious. Hope your treats turn out great. Thanks! yum! I haven't made rice crispy squares for a long time I love the idea of using Nutella. Thanks for the post. I am off to the store to purchase rice crispies! chamberlaindey - It definitely helps if you don't want the chocolate chips melted throughout. Thanks! Freezing the chocolate chips so they don't melt when you mix is such a great tip. Thanks for the info! midnightbliss - It is delicious. Nutella can make lots of things tastier. Thanks! Leah - Thanks for pointing that out. Gluten-free and delicious. 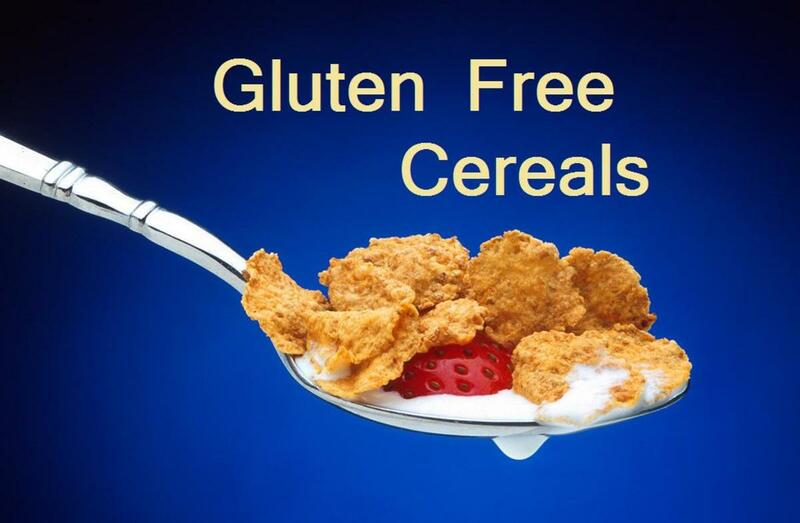 Just a side note-when using Fruity Pebbles or Cocoa Pebbles, this becomes a gluten-free dessert! nelie gacuy - The peanut butter ones are delicious! i want peanut butter guys..! Jen - I have never had a problem with using margarine. The treats always turn out delicious with it in fact. The only trouble I have ever had was when I used tub margarine instead of stick margarine. The treats turned out greasy then, not hard. Unless this is a recipe for rice krispie bricks, you cannot substitute margarine for butter. They will be impenetrably hard if you use marg. SanneL - The Nutella Treats are very tasty. They are chocolatey nutty goodness combined with yummy treats. I'll have to give this Rice Krispies Nutella recipe a try. natures47friend - I think they are called Rice Bubbles outside of the US. They definitely taste great with fruit. Thanks! MelissaMo - Thanks for the tip. I'll have to sample that idea. uniquearticlesbuz - Thanks for stopping by! 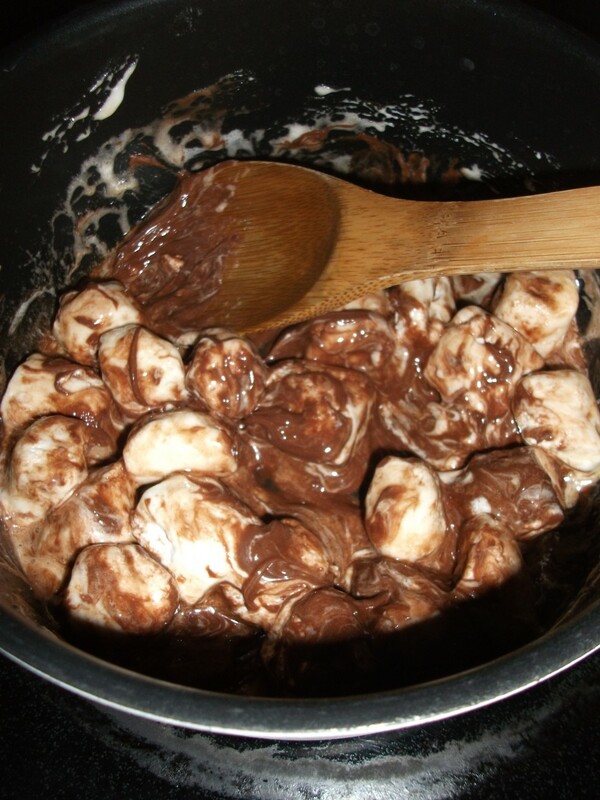 Try adding 1/2 teaspoon if almond extract to the melted marshmallow mixture for an adult pleasing palate... The moms at playgroup fell in love with them..
Tera715 - That cake batter recipe sounds yummy. I will have to try that the next time I make treats. Thanks for sharing that. This article caught my eye because I literally just made Rice Krispie Treats for a bake sale two days ago except I made them Cake Batter flavored. It's so easy, you just add yellow cake mix to the marshmallow/butter mixture in the pot, add sprinkles and there you have it. 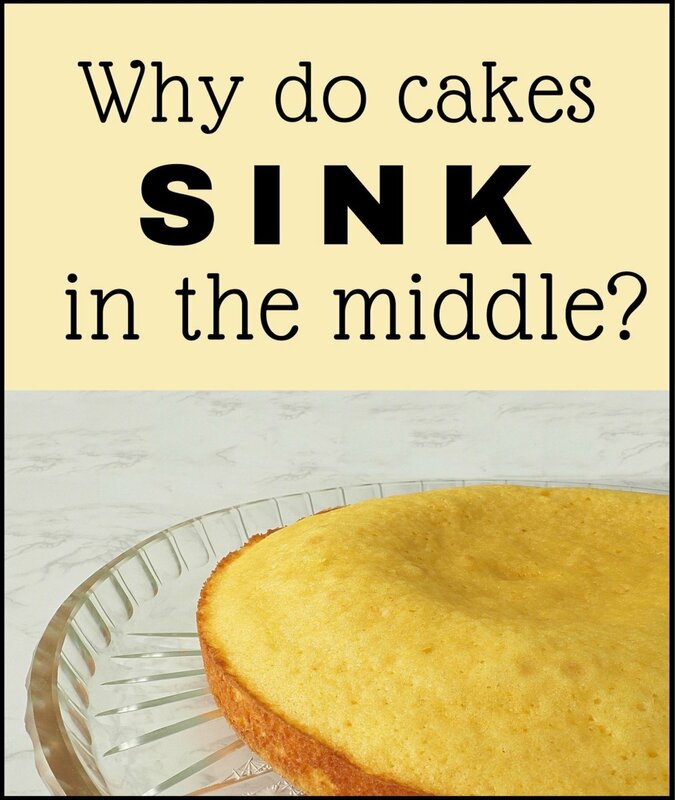 Hope you enjoy the recipes. 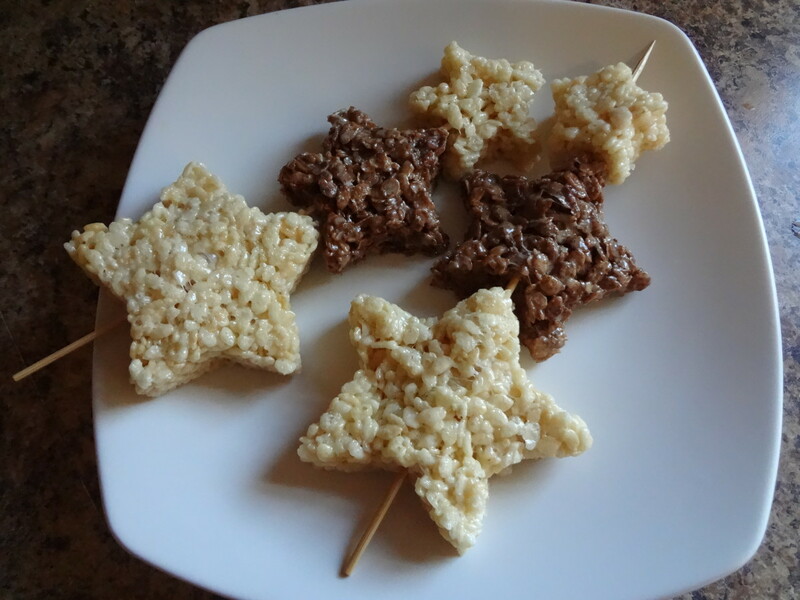 Rice Krispies treats are simple to make for beginning cooks and more experienced cooks can use more complicated variations. Plus they are delicious. Thanks for your comments. Thanks for sharing this post. Learned lots of information here. IdeaMorphist - I hope you have satisfied your cravings. Dr Lora - I hope your granddaughter enjoys them. I will have to try the cheerios treats one day. Thanks for the good ideas, especially the one about sprinkles. My granddaughter (age 2) loves anything with sprinkles, so this may be a way to get cereal into her, even if it is coated with marshmallows! P.S. I once tried the recipe with Cheerios instead - pretty good! Now I am craving krispy treats! Nutella is delicious in Rice Krispies treats. It's great in crepes, too. The Nutella ones are my favorites. Hope you enjoy! The popsicle stick adds to the fun and keeps your hands from getting sticky. Your son has good taste! They are one of my favorites as well. My son loves these. Clever idea to use a popsicle stick.